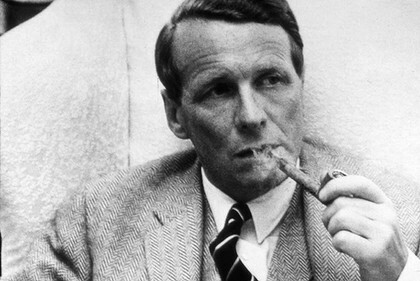 David Ogilvy is considered "The Father of Advertising". His writings on advertising are popular across the world. I came across his short note "10 Tips on Writing by David Ogilvy" today and could not resist sharing it here. His tips on writing can as well be applied to presentations. Just replace the word 'write' with 'present' and 'writing' with 'presenting'. 7. Never send a letter or a memo on the day you write it. Read it aloud the next morning - and then edit it. Check out the Roman-Raphaelson book on Amazon & flipkart. The lessons I draw as a presenter from these tips are as under. The number before every paragraph relates to that tip by David Ogilvy. 2. Present the way you normally talk. Do not put on an accent. Do not talk fast. Look people into the eye. While you are presenting, you should be your normal self. 3. Use less words on your slides. Speak less but mean more. Do not keep on talking and do not fill your slides with text. 4. Never use jargon in your presentations. You might want to sound 'cool' or like an expert but it does not help. Be clear and simple to your audience. 5. Never make lengthy presentation. Be brief and to the point. The more you say, the less people care and remember. 7. Never be in a hurry to send in (email) your PPT to the recipient. If you have worked late night on the slides, check them again the next morning and edit them. Never go into a presentation without rehearsal. 8. If you are working on an important presentation, take help from colleagues and friends. They will give you feedback which will help you. Let them critique your presentation. 9. You must be very sure what is the objective of your presentation. What do you want the audience to do after the presentation and why? This will bring clarity to your thoughts. Not to forget, good presentation skill is not a natural gift. You have to learn to present well. Very well said David. Thanks to my friend Nirav for sharing the link on FB. Hi. I wanted to say that ur tips on presentations are very helpful. I try to incorporate some of it in my bschool class presentations.